As if the Summer wasn't hot enough already, Ronnie Fieg, Asics and Diamond Supply have decided to add even more heat to the mix. 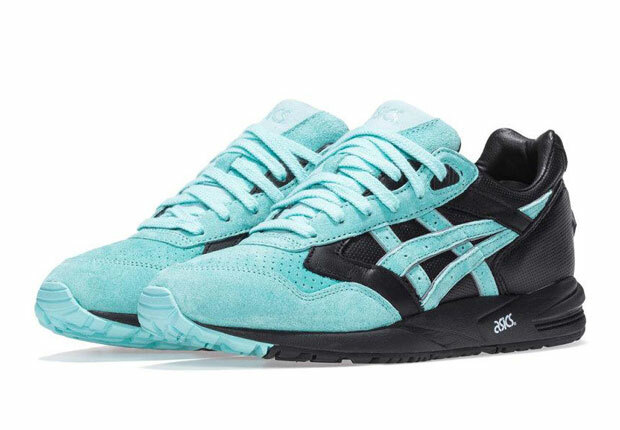 They have teamed up to bring the "Diamond" theme back to life via a two pack that consists of a pair of Asics Gel Saga and a pair of Gel Lyte V. The black/teal Gel Saga takes us back to Diamond's first major sneaker collaboration while the Gel Lyte V remixes it, in essence creating an "Un-Diamond" colorway of white/silver/teal with Ronnie's expert materials selection. Both pairs have been given a release date of June 19 so make sure you circle that day on your calendars. No price is available as of the current time.